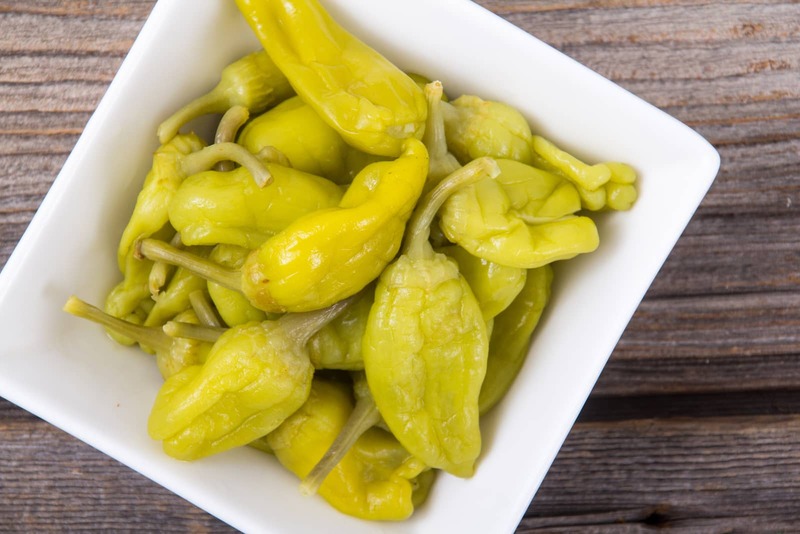 It comes as no surprise how the banana pepper got its name. Its long curved shape and yellowish hue resembles the fruit from which its named. These are mild and tangy chilies, perfect for pickling and tasty in salads and sandwiches. 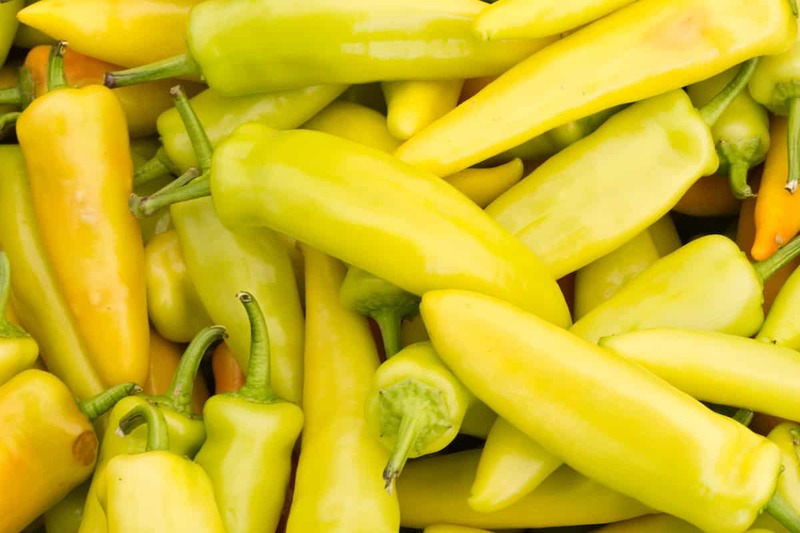 While its shape and color helps make banana peppers easier to recognize than many other chilies, there’s actually a lot of culinary confusion surrounding them. 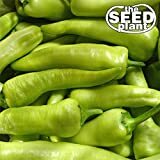 Both pepperoncini and the much hotter Hungarian wax pepper share similar profiles, and they are often mistaken for one another in supermarkets and restaurants. That can lead to more spice than you expect! Hot hot are banana peppers? There are few chilies that are milder. With a Scoville heat unit range from 0 to 500 SHU, they fall in line with pimento and pepperoncini peppers. In fact, they can even dip down all the way down to the zero heat of a bell pepper. This makes banana peppers at least 5 times milder than a jalapeño, with the potential – like bell peppers – to be completely lapped in overall heat. Given that, let’s compare middles. A banana pepper that fell into the middle of its potential heat range would typically be about 21 times milder than a middle-range jalapeño. In shape and color, the banana pepper does a solid impersonation of the popular tropical fruit. They grow to two to three inches in length, and their curved shape immediately resembles a banana. Their color starts green and matures typically to a greenish yellow or full yellow, again like a banana. They can, though, take on orange or even red hues as they mature. Like the pepperoncini pepper, banana peppers have a tang to them, but there’s a sweetness there too. It’s a hard chili not to love the flavor of, especially when pickled. 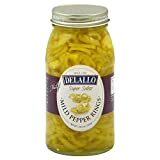 Are banana peppers the same as pepperoncini or Hungarian wax peppers? Here’s the core confusion with banana peppers, and you’ll see it occur in online forums, restaurants, and even supermarkets. 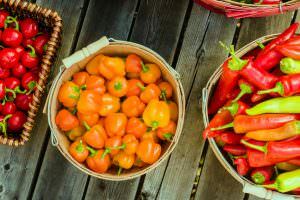 All three look a lot alike and they all come from the same species of chili (capsicum annuum), but they aren’t the same. 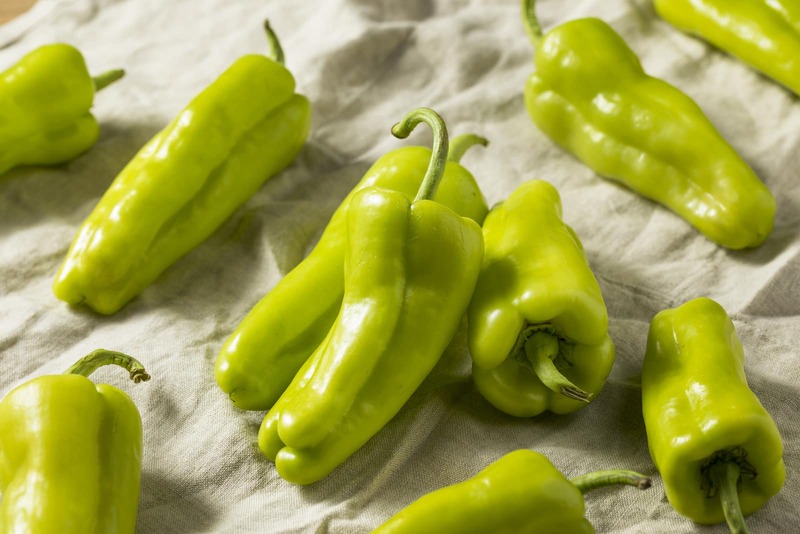 Adding to the confusion, banana peppers are also known as yellow wax peppers and Hungarian wax peppers are also referred to as hot banana peppers. Obviously, there’s a lot of mistaken identity. 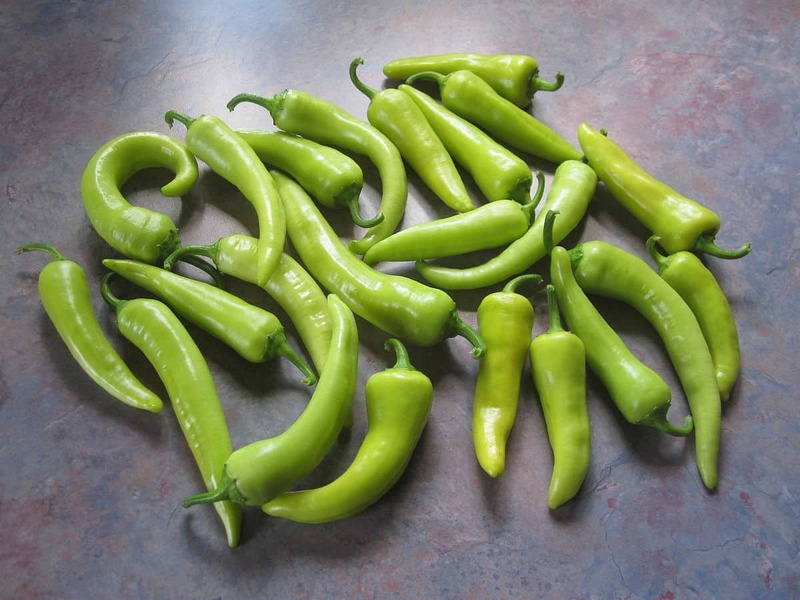 Pepperoncini peppers share a similar heat level (100 – 500 SHU), but are typically slightly spicier and tangier. Hungarian wax peppers are playing on a different field altogether. They are medium heat chilies (5,000 to 10,000 SHU), which makes them normally hotter than jalapeños. 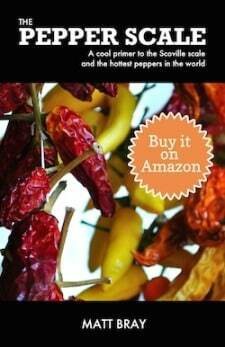 They can reach serrano pepper level heat. They are also larger, often reaching six inches in length. All three are terrific pickled, and when chopped into rings they all make great sandwich, salad, or pizza toppings. 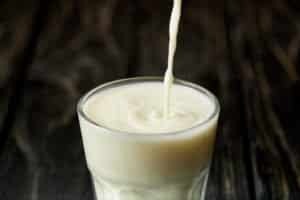 When chopped, it’s nearly impossible to identify the difference between these three, and a lot of mislabeling occurs in restaurants and sandwich shops because of it. Even supermarkets that sell fresh versions of these chilies often mislabel the three. They sometimes also get jumbled together in the refrigerated aisle, so you may think you’re getting a banana pepper when in reality you picked up a small Hungarian wax. This has led to a lot of heat level confusion about the banana pepper. 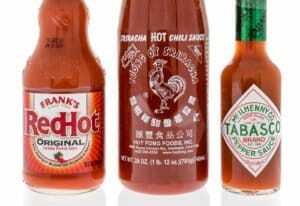 People often think they are spicier than they really are. The simple reason: They didn’t eat a banana pepper. How are banana peppers used? As mentioned – fresh or pickled, these are terrific sandwich, salad, and pizza toppers. Stuffed banana peppers are also popular due to the relatively thick walls of this chili. It’s a great alternative to the bell or poblano for stuffed pepper dishes. If you’re looking for a milder alternative to a cheese-filled jalapeño popper, banana pepper poppers can be a nice alternative too. Deep-fried banana peppers are also very popular in the Southern United States. They make an excellent barbecue or fried chicken side. And, like other chilies, banana peppers are excellent chopped for salsas and pureed for hot sauces. Of course, your end result will be very mild, but as an alternative to bell peppers in a salsa, they can add a tiny hint of heat. Where can you buy banana peppers? Even with the pepperoncini/Hungarian wax confusion, these are some of the most common chilies you’ll find in stores. Many supermarkets carry them fresh in the produce section, and pickled banana peppers are common in the condiment/topping section. 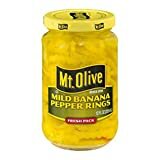 Online you’ll find a wide variety of pickled banana pepper rings and, for those with a green thumb, banana pepper seeds for the garden. The banana pepper is so mild that it’s just a tick on the Scoville scale, but there’s a lot of flavor hear to explore. If you’re not an adventurous eater, this is an excellent bell pepper alternative to provide an ever-so-slight hint of heat. And kids and adults alike love them as pickled toppings. Keep a jar around to liven up the everyday sandwiches and salads you make.